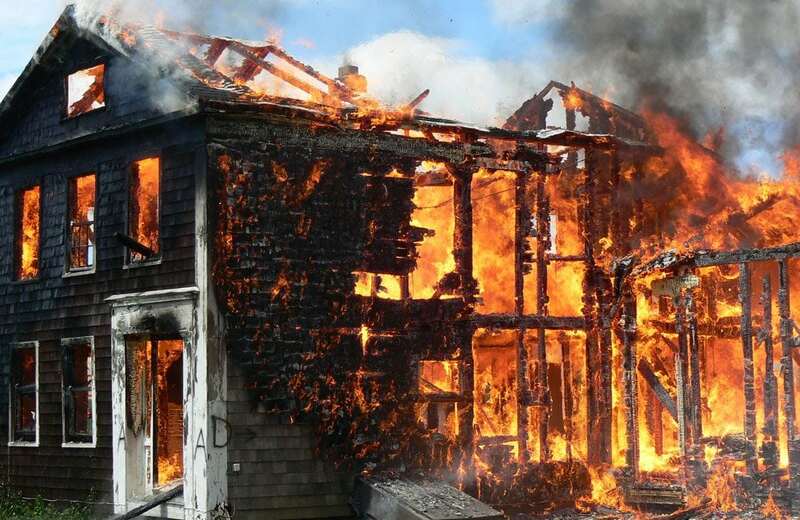 Unfortunately, house fires happen; causing families to lose possessions and precious memories. If the experience isn’t traumatic enough, the smell it leaves behind is nothing more than a terrible reminder. Smoke damage to your home is challenging to remove, especially when synthetic or plastic materials have been burned. In the event you have smoke damage from a house fire, follow these simple steps to rid your home from smoke’s odor. The first step to removing the smoke odor from your home is to air out the house. To do this, open all doors and windows to allow plenty of fresh air inside. Be sure to remove any screens to ensure maximum airflow and place fans throughout the home. Situate the fans in the corners of the room and point them towards the doorways and open windows. This will help “push out” the smoke smell in a speedy manner. The first step to removing the smoke odor from your home is to air out the house. To do this, open all doors and windows to allow plenty of fresh air inside. Be sure to remove any screens to ensure maximum airflow and place fans throughout the home. Situate the fans in the corners of the room and point them towards the doorways and open windows. This will help push out the smoke smell in a speedy manner. Remember that the smell of smoke is strong and opening your windows may not be enough to eradicate it. For tough smells, you may have to blow out your home with positive pressure. Open the front door to your house and set up a large fan just outside of it, facing inwards. Set the fan on high speed and close all other doors and windows, leaving only one window open for exhaust. After blowing the area out for at least 15 minutes, shut the window and the door to that room and open the window in another room. Repeat the process until you have aired out the entire home. To rid your home of that pesky smoke smell, it’s vital to clean every little nook and cranny in your home. Here are five steps to be sure you clean all the major areas of your home! Step 1: Remove all rugs, curtains, blankets, and furniture that has covers to be washed and dry cleaned. Smoke has a habit of sticking to fabrics, so you are going to need to clean each item to eradicate the smoke smell. Step 2: Wash the windows, window screens, and window shades. When washing the windowpanes, make sure you pay attention to the window frames, sills, and blinds as smoke tends to stick to these locations and can cause a recurring smell after the cleanup. Step 3: Wash solid surfaces with a special solution made from dish soap, white vinegar, and warm water. You will use this solution to wipe down things like walls, ceilings, doors, cabinets and door frames. TIP: Use the same cleaning solution to mop all uncarpeted floors. Just make sure you rinse the mop under running water after each run to prevent smoke particles ending up back on the floor. Step 4: Clean upholstery and carpets immediately to keep smoke from deeply penetrating the fibers. To help remove the smoke smell, just sprinkle a little bit of baking soda on the upholstery and/or carpet and let it stay for several hours. Your goal is to have the baking soda absorb the smell. After the time has passed, vacuum the surfaces. TIP: Make sure you use a vacuum machine that contains a HEPA filter to prevent the smoke particles from blowing back in the room. Step 5: Clean the HVAC system. Remember that smoke can permeate ductwork and linger in the ventilation system! To prevent the air quality from being compromised in your home, be sure to immediately change the air filters and furnace filters and have your HVAC system inspected. 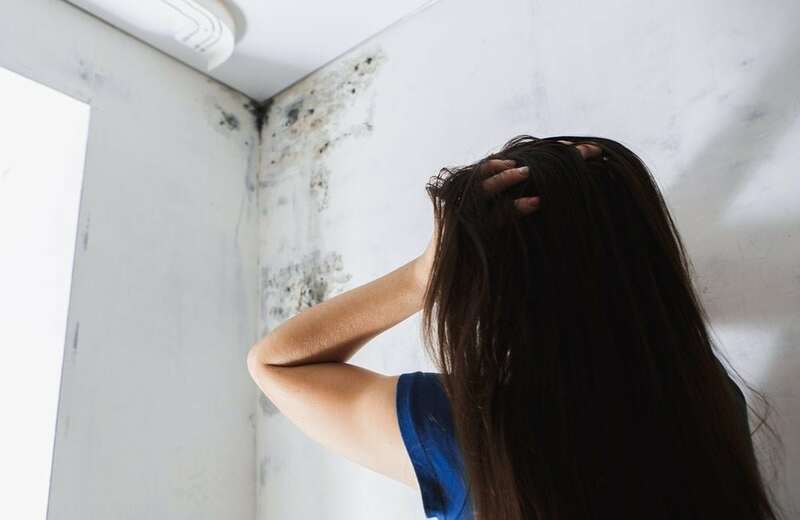 Professional air duct cleaning is often a good idea if you want to be 100% sure the air quality in your home is safe for living. TIP: While using air purifiers and placing bowls of vinegar, ground coffee, or active charcoal around the house refreshed the air, it is truly only masking the smell and won’t remove it. Unfortunately, if the smoke smell persists after you have exhausted all your cleaning efforts, you may need to replace some household items. If you do decide to remove items from your home, be sure to dispose of them in the appropriate location. Paint tends to retain smoke’s odor, making the removal process incredibly difficult. If that’s the case in your home, you will need to completely repaint the walls. Step 1: Use cleaning products that contain ammonia or glycol – highly effective at eradicating unpleasant smells – to wash the walls. Step 2: Apply a special primer that is designed to lock in any bad odors. Step 3: Apply a latex paint over the primer to finish your paint job. Smoke produces one of the most difficult odors to remove and sometimes you must call in the professionals. Experienced smoke damage restoration professionals have the expertise and equipment to completely remove smoke odor after a fire. Not only do many guarantee their services, they use safe and efficient odor removal techniques to achieve the results you need. Whether you decide to try to remove the smoke yourself or hire a professional, remember to follow all safety guidelines when using cleaning products. While a smoke smelling home is bad enough, you don’t want to cause further damage to your home or self by improperly using cleaning products.